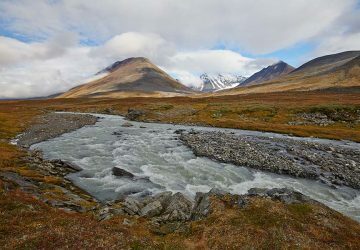 Sarek is the place to go if you really want to test your strength and capabilities. It’s often referred to as “Europe’s wildest place.” There are no marked trails, bridges or signs showing where to go. 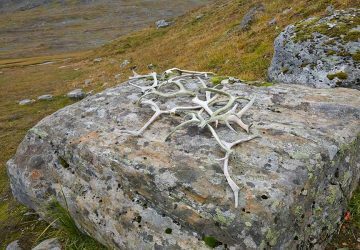 No huts or shops where you can restock your supplies – there are only glaciers, mountains and tundra surrounding you for many kilometers. Due to the rough terrain and rapidly shifting weather and absence of shelters, it is recommended that hikers be well prepared and experienced before setting out on an exploration of this park. We’ve made several treks over the last few years and this has been a kind of training for us. We’ve crossed icy rivers in Iceland and looked for the path in the swampy valleys of Trollheimen in Norway. The severe weather of Scotland was a real challenge to our spirits and at the same time, to our gear. And then at some point we felt an inner perception that we were ready for something really wild and challenging. And here we are. Sarek is a mountainous region lying far above the Arctic Circle; therefore, you should be prepared for sudden weather changes. Even in summer the temperature in the mountains can drop below 0° C and sunshine can change quickly to rain or even snow. We took our trip in the first half of September. We like this period, despite the fact that this time of year it is generally slightly cooler than July or August. According to statistics, there are fewer rainy days in September as well. The biggest advantage is the absence of mosquitoes, and most importantly – the fall colors are magnificent. There's nothing like autumn tundra! Even if it is cloudy and rainy, bright colors around can certainly lift the mood. So, we had day temperatures around + 8° ... + 11° C. At night, it fell to 0° C ... + 2° C. We experienced only two completely rainy days and two and a half sunny days during our trip. The remaining days were just cloudy. 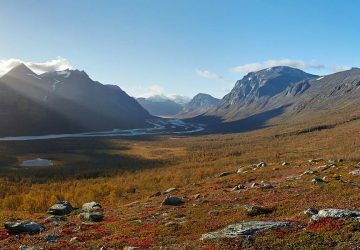 Sarek is surrounded by two other large national parks, Stora Sjöfallet and Padjelanta. Therefore, just to reach its border you will need to spend up to two days traveling from the nearest transport stop. There are several points of entry to the park. Three of them, Saltoluokta, Suorva and Ritsem, are located on the east side. You can get to them by taking local bus Nr. 93 from Gällivare. 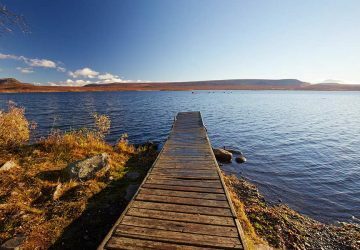 If you start on your way from this side, you need to overcome the first problem: how to cross the chain of lakes on the way back from park. There are regular ferries that come to Saltoluokta and Ritsem in the summer season. But you need to study the schedule very carefully! The ferry to/from Saltoluokta works until the end of September, but in Ritsem it stops running at the beginning of September. And the schedule changes from year to year. While last year it worked up to 9th of September - this year the last boat was on Sunday, the 4th of September. Be sure to get a confirmed schedule from the Ritsem station before you start your trip. 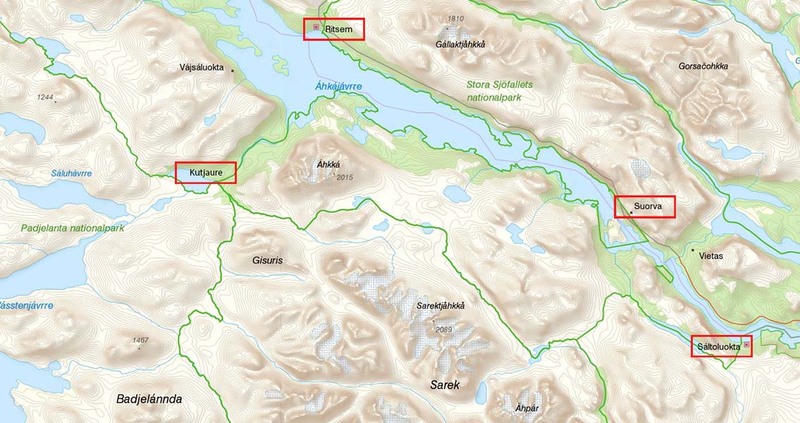 You can get to Suorva by crossing the dam. But as soon you reach the center of the park, you’ll need to choose which direction to go next – to the north or to the south. 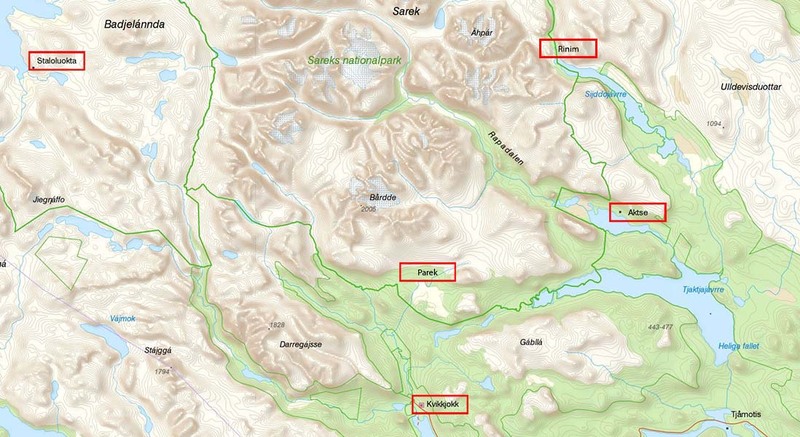 Hikers, who have been in Sarek before and are now looking for a new route to take, sometimes choose this direction. From Kvikkjokk (bus Nr. 47 from Jokkmokk) you can enter the park from south-west side. 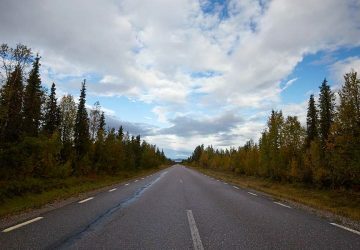 By passing the Kungsleden trail section, you can get to the southern boundary of the park – Aktse and Rapadalen Valley or you can also go through Parek plateau to the center of Sarek. Gällivare can be reached by plane or train from Stockholm. Jokkmokk requires an additional bus transfer on top of that. Helicopter is another transportation option. 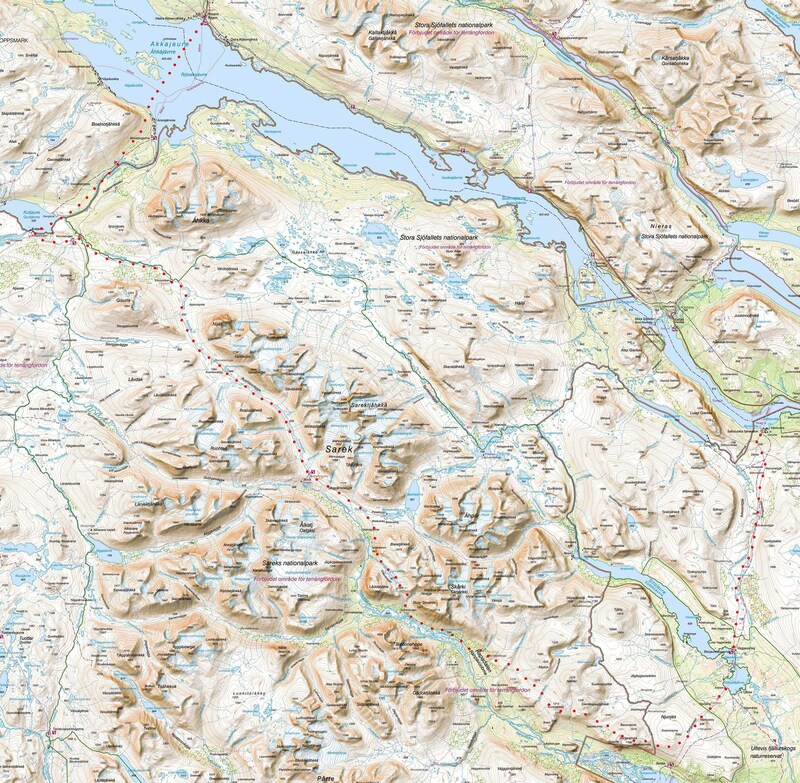 A local company, Fiskflyg can fly you from Ritsem, Stora Sjöfallet and Kvikjokk to the boundaries of the park in Aktse, Skjerfe, Kutjaure, Rinim, etc. 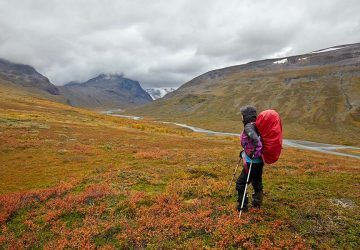 The route we chose was one of the most popular treks in Sarek. Now I can say that technically it's probably not harder than other hikes we took in Norway or Scotland. 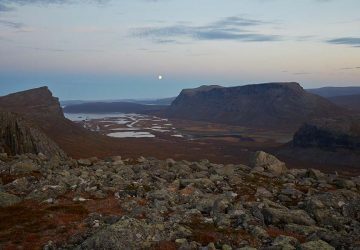 However, in Sarek you understand that you are far from civilization and possible assistance so you have to be doubly careful and attentive. In addition, often you have to go on a full off-road. 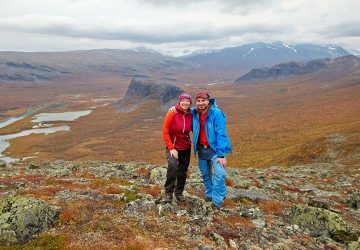 The daily distance you can cover, for example, on Kungsleden trail or hiking in Rondane, may be half as much as usual. This should be considered when planning. GPS. Ability to work with a map, of course, is a required skill. But in reality, when you find yourself lost in the middle of a forest without trails, a map does not show exactly where you turned the wrong way. GPS will help you get back on the trail. Emergency device such as a SPOT, inReach, PLB or a satellite phone. There is only one emergency phone inside the park (at Skarja) and no mobile phone connection. 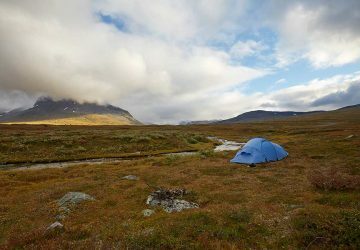 3-season tent and warm sleeping bag – as I mentioned above, the weather in Sarek shifts rapidly, so you have to be well-prepared and protected in order to avoid hypothermia. Neoprene socks. Extremely helpful thing when crossing rivers. These socks can keep you perfectly warm. And with them, forcing your way through the rivers flowing from the glaciers becomes much easier. Extra socks and warm clothes in waterproof bags. It is wet, VERY wet, due to rain, swamps, streams, wet grass, and swamps again ... and more streams. It’s quite difficult to dry clothes out if there is no sunshine. So everything stays damp for a long time.